Hidden gem brings healthy food and great service to Victoria Quarter Leeds –Refuel while you shop !! Filmore & Union﻿ is bringing a new kind of dining to Victoria Quarter #Leeds – good quality, pure and naturally healthy food with amazing customer service. 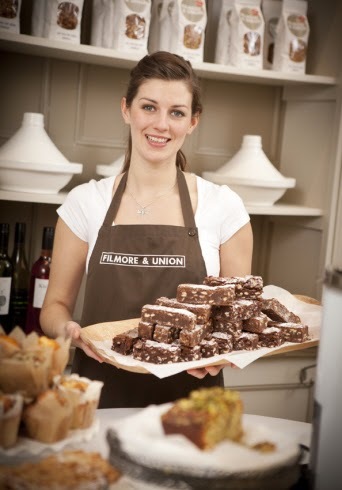 Filmore & Union isn’t a typical health food restaurant, It’s stylish and cosy and the food is light and refreshingly different – which is why it’s such a hit with young people, ladies who lunch and the older generation who recognise quality and the appeal of healthy eating and it’s so exciting that they are opening in the heart of the victoria quarter with an express bar where you can sit and refuel with one of their healthy fresh remedy juices all made fresh to order complete with health shots like acai and wheatgrass, an energizing salad or one of their signature tagines or for a more leisurely lunch relax in their stylish restaurant with a more extensive health inspired menu . They make absolutely everything themselves from the hummus in your bagel to the chutney on your plate, and they make sure it’s food that everyone enjoys. They love to innovate, finding new, nutrient-packed combinations that taste gorgeous – like their wheatgrass and orange dressing, or gluten and dairy free orange and lavender cake. ( think jazz , Sunday papers and buckwheat pancakes with smoked salmon and a glass of prosecco ).